Home Tours with Floor Plans! while being problematic for others. While apps like Magic Plan still require calibration, they make the process much easier and fun at the same time. Soon after playing with Magic Plan, I discovered that they had affiliations with other software developers, so I decided to dive in and check out them as well. One is 3D Floorplaner, which allows you to take your 2D floor plans from Magic Plan and transform them into a complete 3D model. Like the latest versions of Magic Plan, 3D Floorplanner also allows you to add in furniture, utilities, colors, carpets, etc. Soon after, I explored their affiliation with RTV Virtual Home Tours. I was immediately impressed with the integration and ease of use, giving real estate agents the ability to produce their own home tours. I have received positive reviews from sellers and buyers alike, who find the floor plans and interactive virtual tours very helpful. Integrating them into your home tours takes your marketing to a new level. I would highly suggest to any agent to give these services a try for yourself and see just how easy and fun it is to provide these marketing tools to your clients and listings. Over the last two years we’ve looked at many floor plan technologies as a group. Many of you have adopted these technologies into your property marketing company and others have passed up floor plans simply because they take too long to create. The new RTV Virtual Tour System coming online soon will accept a fully integrated floor plan and we thought it would be a good idea to showcase some of the latest floor plan capture technology to really give your virtual tour business a BOOST in 2012. Please join myself and Jacques Gaubil on Tuesday, November 8th at 7:00 Eastern time while we discuss how this program works, why you might consider trying it out and of course a special discount given to RTV providers who sign up for MagicPlan. We hope to see you there RTV! RTV is pleased to announce that they’ve gone live with their new Interactive Floor Plan System powered by Icovia. Icovia is the industry standard for online space planning. The Interactive Floor Plans are launched directly from your client’s online property listings, their buyers browse detailed floor plans branded with your client’s corporate identity. And coming this spring your agents will be automatically alerted when users save, print or share the floor plan. ~Draw your own floor plans in minutes by tracing over a sketch or starting from scratch. ~Or have Icovia draw the floor plan for you ONLY TWENTY BUCKS!!! Just email or fax your floor plan sketch to them and they’ll do the rest. The RTV Interactive Floor Plan is an amazing online tool for planning and designing spaces. The floor planner makes it easy to recreate an entire house or you can create professional floor plans in minutes. Point and click to add walls and drag-and-drop windows, doors and other items. Plans can be added by your agents, a measuring service, or by the Icovia design team. The RTV Interactive Floor Plan combines function and finesse to make your property shine. Include photos, panoramas and virtual tours of your properties and watch your listings come to life. In addition, an integrated reporting tool gives you real-time access to user registration data and performance metrics. Identify top properties and help your clients reach new buyers. ~Launching directly from online property listings Branded with your client’s corporate identity, both in the viewer and the printouts. ~Easy to use – no software to install. ~Link to photos and virtual tours. ~Integrated collaboration tools for prospects and agents. ~Capture detailed buyer information – Coming soon! ~Powerful reporting tool identifies top properties and interested buyers. ~Generates registered contacts for your agents – Coming soon!. ~Engages prospects and creates excitement about property listings. ~Differentiates your company and your client’s company. 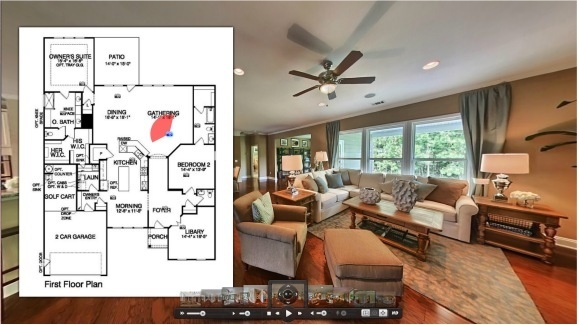 Help bring your client’s properties to life with interactive floor plans. Join the list of leading companies that use the Interactive Floor Plans powered by Icovia to convert web traffic into contact lists for your Client’s potential buyers. This technology leapfrogs the floor plan technology of your competitors with its unique ability to add photos, panoramas, AND move furniture around! Take a test drive of the new RTV Interactive Floor Plan System today!